Flip the tire. Jump In. Jump Out. Repeat. 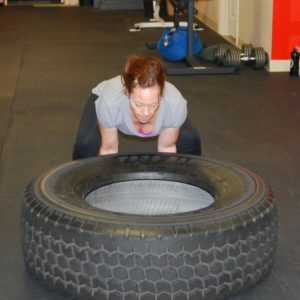 Lindsay almost makes it look fun!#tireflip #badasschick … [Read more...] about It doesn’t have to be fun to be fun. [youtube=http://www.youtube.com/watch?v=UeDWwNL4HE0]Lindsay isn't taking "no" for an answer! 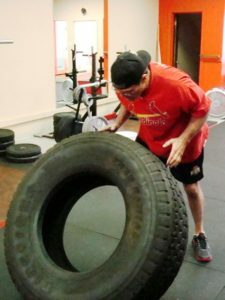 And this was after a 5 minute WOD of as many flips as possible with the 155# tire. Strong work, sister! … [Read more...] about No? No.